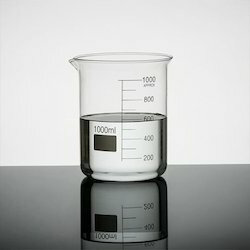 Manufacturer of a wide range of products which include alkaline soak cleaners, aqueous cleaners, brightening chemicals, cleaning agent, liquid cleaning chemical and teepol. Chemtex Speciality Limited formulated product Alkaline Soak Cleaners are a range of foaming and non-foaming alkaline cleaners designed to be used for different applications. The purpose of the alkaline soak cleaners are to aid in the removal of any oil, grease, fingerprints, or similar films left on various surface of equipments or machineries after manufacture. Alkaline cleaning proceeds by amalgamation of chemical and physical reactions involving displacement, penetration, flotation, wetting, emulsification, and saponification of the contaminants. Chemtex manufactured Alkaline Soak Cleaners are mainly of two types - Foaming for Coil Cleaners and Non-Foaming for CIP applications. Chemtex Speciality Limited is an ISO 9001, ISO 14001 and OHSAS 18001 certified manufacturer and supplier of Alkaline Soak Cleaners. We have been in this field of chemicals for over a period of 46 years and we will continue to extend our services towards enriching the circadian operations of other industrial sectors. Chemtex manufactured product Aqueous Cleaners are a range of neutral multipurpose and alkaline cleaners that are used for various applications. 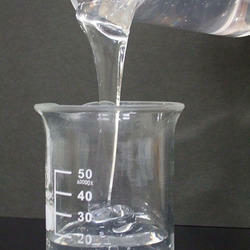 Neutral aqueous cleaners are a concentrated blend of anionic surfactants and emulsifiers. This is a general purpose high foaming cleaner used for cleaning applications in brewery, dairy, food and beverage and pharmaceutical industry. It forms rich foaming for superior cleaning of equipments, utensils, walls, floors, etc. It is a multipurpose product that can be used in both hard and soft water. Alkaline Aqueous Cleaners, on the other hand, are highly concentrated blend of alkaline cleaner with wetting agents and water scale removing that makes it a single stage heavy duty degreasing cleaner for the removal of stubborn oil, protein and fat deposits. It is a low foaming cleaner for open plant cleaning by spray applications. Brightening Chemicals for metals clean and expel oxide layers from substrates like aluminium, stainless steel and copper. Chemtex's Brightening Chemicals are natural acid based cleaning chemical compounds but is repressed to be safe on aluminium and other metals. 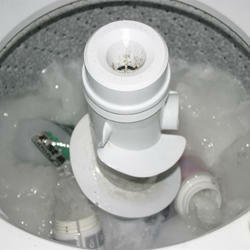 It is nontoxic making it safe to clean areas which come in direct contact with consumable items. Brightening Chemicals leave the metal surface sparkling. It is utilized by F&B, bottling works, clinic and dairy industry for cleaning of natural, inorganic soils and scale stores regularly found in types of gear, splendid brew tanks, street tankers, water tanks, holders or vessels, aluminum balances and AHU loops and so forth. Chemtex Speciality Ltd. formulates & manufactures an entire line of products designed to clean & brighten metal parts & surfaces. Chemtex Speciality Limited recommends specially developed nontoxic cleaning agents with low environmental impact for ensuring the safe removal of unwanted contaminants from the desired surfaces. These have been thoroughly tested by our technical experts to protect other metal surfaces. The products which we cater under Cleaning Chemicals are Solar panel Cleaning Chemical, PET Flakes Cleaning Chemicals, Glass Bottle Cleaning Chemicals, Windshield Washer Fluids, Ammonium Bifluoride, Laundry Chemicals, etc. Chemtex Speciality Limited manufactures a wide range of cleaning agents that are required for cleaning in various applications. 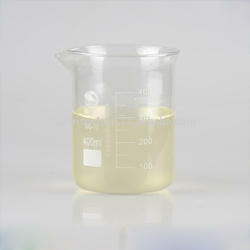 The range includes products with high or low pH, high or low foaming properties etc. Chemtex Speciality Limited is an ISO 9001, ISO 14001 and OHSAS 18001 certified manufacturer and supplier of Cleaning Chemicals. We have been in this field of chemicals for over a period of 40 years and we will continue to extend our services towards enriching the circadian operations of other industrial sectors. 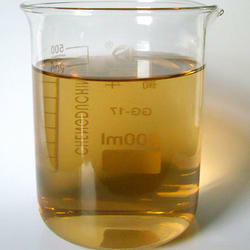 CHEMTEX'S Liquid Cleaning Chemical is a concentrated blend of anionic surfactants and emulsifiers. It is high foaming liquid cleaner for general purpose cleaning applications in f&b, brewery, dairy, pharma and other industries. 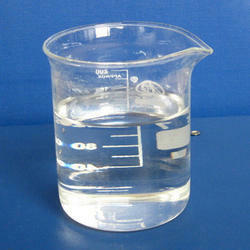 Liquid cleaning chemical is a suspension of solid abrasive particles in a thickened liquid matrix. They contain more surfactant and softer abrasives than are found in some powdered cleaners. As a result, their abrasive action is usually gentler than powders. Teepol Liquid Cleaner is a concentrated blend of anionic surfactants and emulsifiers. It is high foaming liquid cleaner for general purpose cleaning applications in food and beverage, brewery, dairy and pharmaceutical industry. Oil wells age and become less efficient with sand, wax, water emulsions, and acid stimulation chemicals build up. Drilling Detergents clean out, essentially opening up well bores with free flow of oil in faster and in greater volumes, increasing the productivity of oil wells and requiring less energy to extract. Drill sites can become awash with grease, mud, oil, and other substances drawn up from the well bore. Effective detergency help clean up areas quickly to keep operations moving smoothing, and improve the safety of the worksite. 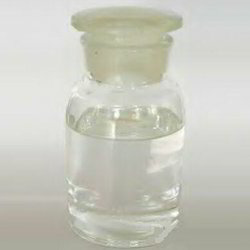 Bottle Washing Chemical is a unique blend of sequestrants, organic chelants, and surfactants specially developed for F&B, brewery, bottle plants industry. It is non-foaming and can be used both in machines and manually. It finds application in bottle washing with low consumption of caustic soda, maximum penetration and wetting of labels, excellent bottle shining and micro biological cleaning of glass bottles. 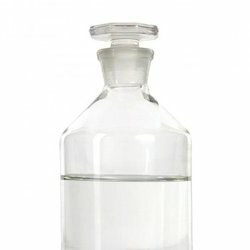 It can be used as a stand-alone alkaline glass bottle cleaner or it can be used as an additive to caustic soda solution to provide synergy and make cost eective detergent. Air Cooler Cleaner is a concentrated liquid solution of aromatic hydrocarbons, powerful surfactants, corrosion inhibitors and strong emulsifying agents designed with highly active cleaning and corrosion inhibiting compounds to attack, penetrate and remove oil and grease, soot and other carbonaceous deposits from air coolers and turbochargers in both two and four stroke diesel engines. It is safe and economical to use, effectively removing air borne contaminants from scavenger air trunks, air coolers and inlet valves. It helps in keeping all air handling surfaces clean and free from deposits. - Water displacing surfactants incorporated in R.A.C.C. form a mono molecular film throughout the air handling system, which protects the metals and reduces the adherence of air borne contaminants. Waterless Hand Cleaners find most usage in areas with limited water resources such as high sea vessels or industrial workshops, etc.It is more preferable to handwashing with soap and water with its added demulsifiers for better removal of oil and grease. Waterless Hand Cleaners are are formulated with a blend of both polar and non polar ingredients for effective removal of a wide variety of grime from skin surfaces. The gelatinous nature of the product allows a longer contact time between cleaner and skin surface making easier removal of stubborn soil, grease, etc. Electronic Contact Cleaner is a ready-to-use alcohol based electrical contact cleaner for hard surfaces, used in circuitry, railways, thermal power stations, oil refineries, and and fertilizer plants. Complete cleaning can be ensured with spraying or wiping procedures. 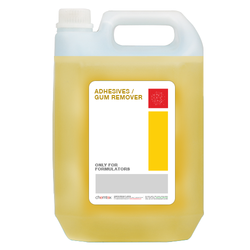 Chemtex manufactured Adhesives/ Gum is a ready-to-use organic solvent non-ionic surfactants based adhesive/gum remover. Washing locomotives/ coaches should have effective reach to all the areas covering the entire exterior, cleans the coach effectively and with little effort and time consumed. Chemtex manufactured loco wash is based on mild alkaline detergents, wetting agents, with corrosion inhibitors. It’s unique formulation effectively removes oil, grease, soot deposits, all dust and clay from external body parts of train . It is a powerful oil dispersing agent that penetrates, dissolves and removes contaminants from goods parts without damaging its components. Looking for Cleaning Chemicals ?